Add a festive look by hanging these holiday ornaments in your window or doorway, the Shining Star can also be used as a tree topper. 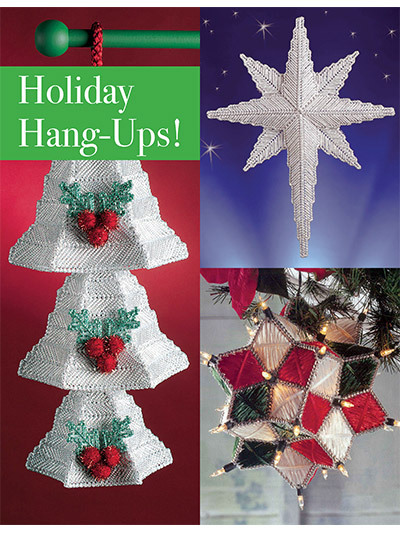 Shining Star and Silver Bells are made using 7-count plastic canvas and stitched with Metallic Craft Cord. 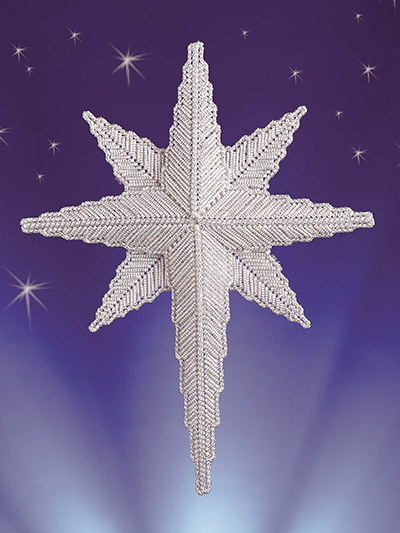 Size: Shining Star: 1"W x 10 1/4" Across x 13 1/2"T; Silver Bells: 6¼"Across x 12 3/4"L not including hanger. 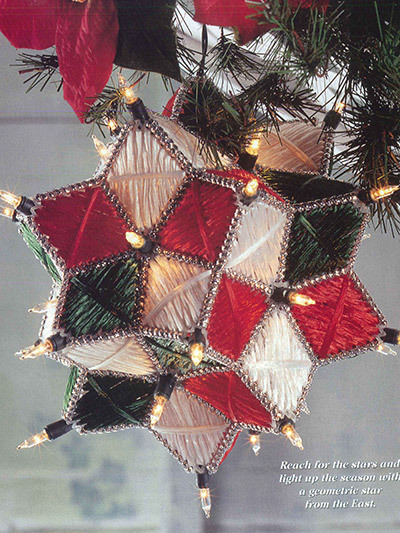 The Celestial Christmas Orb is made using 12 (5") plastic canvas star shapes, metallic cord and raffia straw. Worsted-weight yarn may be substituted for the raffia straw. It measures about 11" across with lights in place. 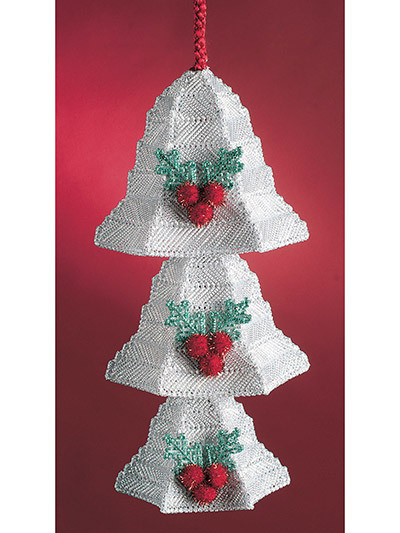 I'm making the Bells now and it is pretty easy pattern to follow. I have one bell done and it is beautiful. Have only made the bells but they turned out great.